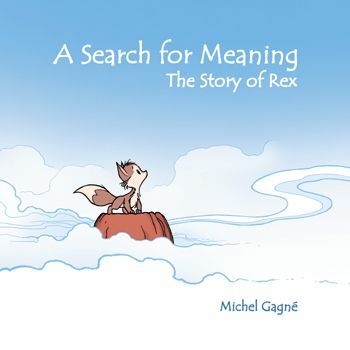 A few days ago I have found a beautiful book «A Search For Meaning: The Story of Rex» by Michel Gagne. 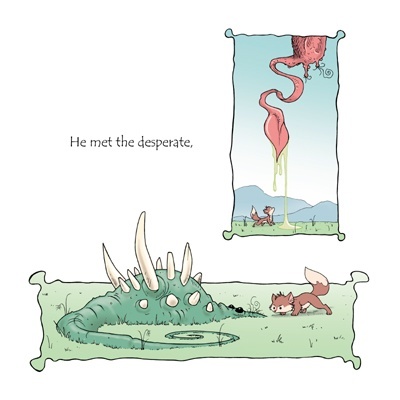 On 32 pages small fox search for meaning, traveling in strange world, born by the author. Original illustrations style someone may seem strange, but I have delights.